Our all-school art show December 11 at 5 pm features not only talented students artists but also a renowned local artist, Dave Eassa. Dave Eassa is a visual artist and organizer living and working in Baltimore, MD. 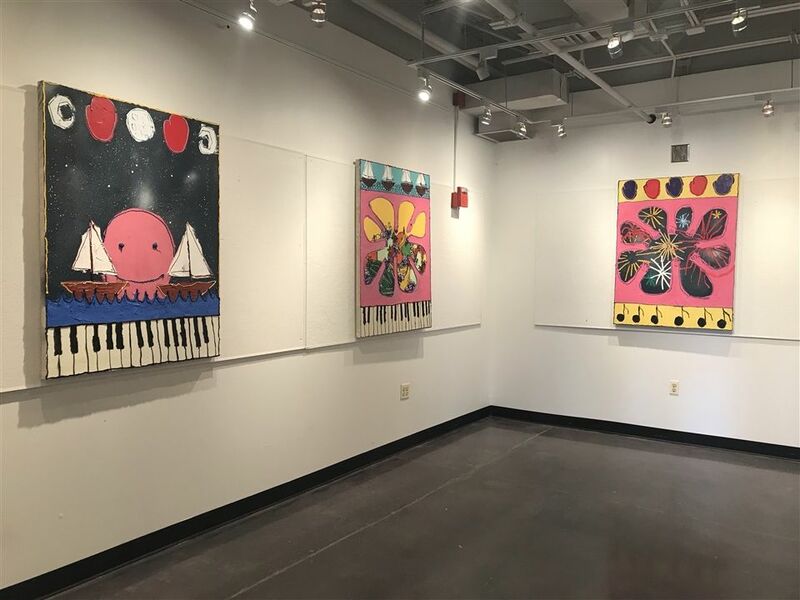 Recent solo exhibitions include “Stop and Smell the Roses Sometimes” at Space Gallery in Portland, ME and "You Can't Just Draw A Line In The Sand" at School 33. He has shown regionally in solo exhibitions at Little Berlin (Philadelphia, PA), Vox Populi (Philadelphia, PA), Big Law Country Club (Brooklyn, NY) and (e)merge Art Fair (Washington D.C.). He has shown nationally and internationally in exhibitions most notably at Signal (Brooklyn, NY), LVL3 (Chicago, IL) Sophiajacob (Baltimore, M.), Artisphere (Roslyn, VA), Marianne Boesky Gallery (New York, NY), artSTRAND (Provincetown, MA), Reh Kunst (Berlin, Germany), Current Space (Baltimore, MD) His work has been published in New American Paintings No. 112 and No. 136, and The Pinch Journal. In 2014 he was awarded an Individual Artist Grant in Sculpture from the Maryland State Arts Council and currently has a public sculpture on view at the Coldstream Homestead Montebello Sculpture Park and the Harwood Community Garden, both in Baltimore, MD. He was an Open Society Institute Baltimore Community Fellow from 2015 through 2017 where he founded the program Free Space, which brought the arts to the Maryland Prison system, teaching in men and women's correctional facilities. He has received grants the Baltimore Office of Promotion and the Arts in 2015 and 2016, the Gutierrez Memorial Fund, and the Maryland State Arts Council to support Free Space. He serves on the Board of Advisors for Baltimore Youth Arts and the Programs Committee for the Baltimore Museum of Industry. He currently is the Manager of Community Engagement at the Baltimore Museum of Art working on a range of initiatives that challenge and question what it means to be a museum in present-day Baltimore. Most recently, he was selected as one of 50 Young Cultural Innovator’s from across the globe for a YCI Fellowship at the Salzburg Global Seminar in Salzburg, Austria.